If there is a team that can raise their hand with pride and claim to be the outright best in the footballing world at this given point of time, it is the one from Spain that goes by the well known name of Real Madrid. 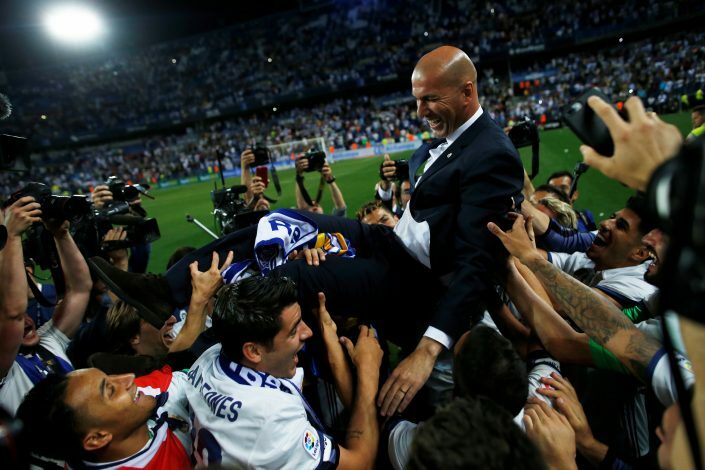 The side, managed by the club’s legendary player, Zinedine Zidane, has had a season to cherish, and during it, reached heights other teams only wish to achieve. Los Blancos have been in the shadows of Barcelona for the past few years, and after countless attempts of desperately trying to get out of that position, the 2016-17 campaign saw them finally break free and come out on top while leaving their arch-rivals far behind and way out of sight. From a keeper in fine form to defenders as solid as a wall, midfielders dominating the park and pulling the strings, and forwards banging in goals for fun with Cristiano Ronaldo leading the charge, Real had it all in abundance and perfectly balanced by Zizou in order to achieve greatness, and that is what they exactly did. The La Liga race, as it every year is, was a tightly contested battle between the two mega clubs of Spanish football, and the winner of the title was decided on the very last day of a 10-month intense journey. Worldwide renowned enemies, Barcelona and Real Madrid, were constantly changing top spots through the course of the campaign, and unlike last season, this one had a different ending to it. After a wait of four frustrating years, it was finally Madrid’s chance to finish on pole position in the League standings and lift the coveted prize for only the third time in the last 10 years. A topsy-turvy season was ultimately decided through a margin of only 3 points, as Real Madrid finished with a tally of 93 and Luis Enrique’s men finished in second spot with 90 points in their bag. The Madrid-based side managed to score a mammoth 106 goals during the journey, and despite it being less that Barca’s 116, it was enough to secure crucial victories at crucial times. It was Zidane’s first La Liga triumph, and judging by his track record in only 2 years of management, one can predict many more to come. If the world thought that the Spanish side would settle with just a La Liga title to their name, they could not have been more wrong about a team full of competitiveness, passion and winning desire. 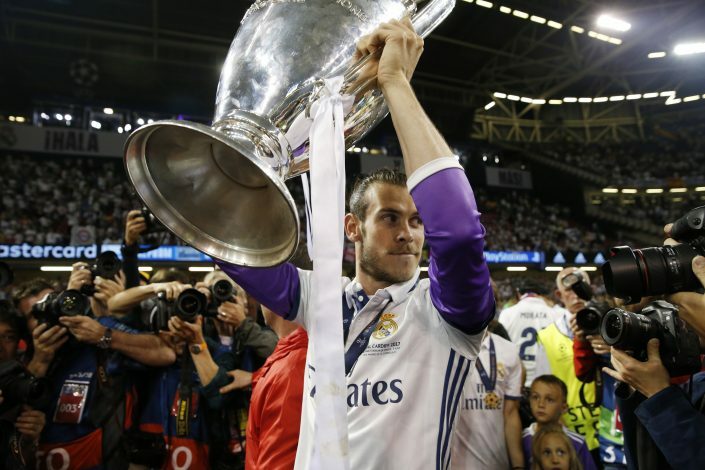 When Real Madrid began the 2016-17 UEFA Champions League season, they were among the few favourites to go all the way and win it, and with them being defending champions, the pressure was higher than ever. The team started the tournament in an underwhelming manner as they managed to finish only second in their group, behind toppers Borussia Dortmund, with only 3 wins out of the possible 6. However, any doubts about their seriousness and intentions towards defending the crown were cleared away when they thumped Serie A side Napoli in a 6-2 thrashing over two legs in the Round of 16 stages. The side turned into genuine favourites and contenders after they eliminated heavyweights Bayern Munich in the quarter-finals with a controversial, but comfortable, 6-3 aggregate scoreline. 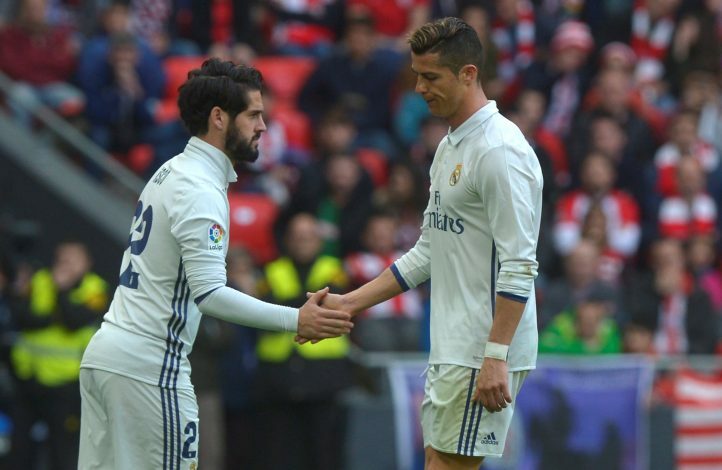 The semi-final opponents were a real challenge for Cristiano Ronaldo and his teammates, as local city rivals Atletico Madrid were desperate to get the better of their nemeses and avenge the 2016 final loss. However, dominance was restored by Zidane’s squad after a comprehensive 4-2 win over the two legged encounter. The ultimate showdown brought them up against the best defence in the tournament so far, as Juventus and Buffon seemed eager to end their poor finals’ record and finally get their hands on the prize which they surely deserved. However, a historical and grand night in Cardiff was graced with a 4-time Ballon D’Or winner’s brilliance, as his brace helped his team win the Champions League by a final scoreline of 4-1 and become the first ever side to successfully defend their crown two years in a row. 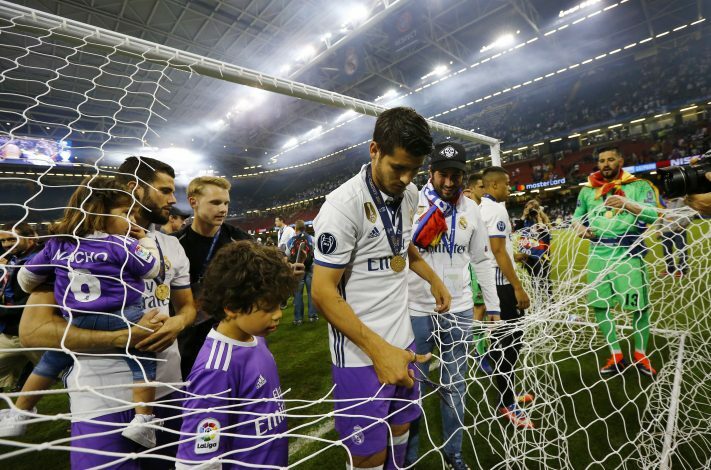 This tournament can be seen as a little dark spot in an otherwise glittering season, as it saw Real Madrid face the exit door much earlier than anticipated. After looking dominant in all formats of Spanish football, the team were shocked by Celta Vigo in the quarter-finals, after a two-legged defeat with a 4-3 aggregate score was enough to knock them out and stun their fans, who expected nothing less than a final appearance. The wound was further fed a little salt by Barcelona, as they eventually went on to lift the trophy, which was unfortunately their only piece of silverware in the entire season. Real Madrid did the double in their Domestic League and Champions League, and can hence proudly boast about being the best in the business right now. With the Portuguese superstar having the year of his life and yet proving his worth by netting a staggering 42 times and providing 11 assists, and Zinedine Zidane slowly turning into the best manager in the world, there never really was any stopping the side from Spain. Such a season might be difficult to follow next term for the squad itself, but for the others out there, the bar is set pretty high, and only the best of the best will be able to reach it. With a 12th UCL success in their bag and the world’s best players in their line up, Real Madrid are an unstoppable force at the moment, and if they get any better, the rest of the world better be scared, as the best might be yet to come.